Why should I pick the VACorps program over other internship providers in South Africa? Our reputation speaks for itself. We’ve been in the business of placing interns at incredible organizations in Cape Town since 2006. We are one of the only programs in South Africa with formal university partnerships—a testament to the quality matches we create between interns and host sites. Unlike other providers, we exclusively offer internships in the city of Cape Town, allowing our team to focus its talents on managing a single program location. We offer a variety of weekly activities that will help you engage the city’s vibrant culture while establishing friendships with other interns in the program. Participants also have access to our safe, secure and affordable program housing. 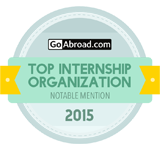 We are a GoAbroad Star Verified program, were rated as the #1 internship organization in Africa (#3 in the world!) in 2016, and our amazing alumni are busy forging successful careers throughout the world. So yes, there are more than a few reasons you should consider our program if Cape Town is your top choice destination for an internship! How much does the VACorps program cost? For internships ranging between 1-3 months, we charge a flat fee of $2,550. To learn more about what’s included in this cost, please visit this page HERE. Although not included in your program fee, we offer program housing in Observatory (rates are between $15-20/day for a private room). There is no meal plan included with the program, however there are many healthy meal plan options from great businesses within Observatory and other nearby suburbs. 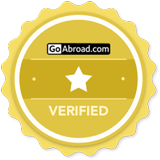 Although we do not offer any scholarships or grants directly through the program at this time, many of our past program participants have found great success in sourcing these directly through their university’s or websites such as FundMyTravel.com. Can I gain credit hours for this internship? Absolutely! Our staff and internship sites will assist you with any paperwork your school requires in order to gain credit hours. Yes, but it’s a very simple process as they’re issued at the airport when you arrive (and free!). If you hold a non-American, Canadian, or UK passport, please ask our staff directly so we can advise you accordingly. 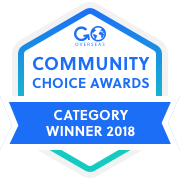 Almost all of our program participants opt to live in our program housing together in the neighborhood of Observatory, otherwise known as “Obs”. It’s located just south of the main city center and has everything you need. From grocery stores, great restaurants, lively nightlife, and quick and easy access to public transportation. Be sure to view our neighborhood tour and program housing videos on our YouTube channel. Can I come with my friends? Absolutely! Have them apply HERE or they can reach out to us directly at info@vacorps.com so we can get started on their application process. If you apply far enough in advance, we can even assure you and your friends all live together, too. Do I have to arrive on a set date? Nope! We work on a rolling applications basis which allows you to arrive and depart whenever it suits you best. Keep in mind our program minimum of 1 month and that you may need to be flexible when booking during our peak season of May – July. Are there any preferred arrival dates I should be aware of? The best time of year to arrive is during our beautiful summer months of October to March. If you are only available during your summer break back home (May – August) we HIGHLY recommend applying good and early! I recently graduated from college. Do I have to be enrolled in school to participate in the VACorps program? Nope! A large number of our program participants are recent graduates and looking for professional experience in their fields of study. We even have seasoned professionals who are looking for a career-change joining us and a handful of gap year students as well. Although our age requirement is 18, no one is ever too old for the program! With this being said, the average age of VAC interns is 20-23. Do you offer internships in cities other than Cape Town? We’re based exclusively in Cape Town which allows our staff to dedicate all of our time and energy towards our interns’ on-the-ground experience. We offer comprehensive support and our offices are right here in Observatory! Since Cape Town is a coastal city, it is best described as having a Mediterranean climate. Cape Town Magazine offers a great synopsis HERE. Although South Africa does have a high incidence of HIV/AIDS and TB, there is no reason to come into contact with these illnesses throughout your time in Cape Town. We will cover this in much greater detail upon your arrival and during your orientation, but otherwise, there are no health concerns you need to worry about. Can I get a paid internship in Cape Town through the VACorps program? Unfortunately not. It is illegal to receive compensation in South Africa without permanent residency or a General Work Permit. This specialty visa takes roughly 6 months and thousands of dollars to secure so, unfortunately, VACorps will not be able to assist here. What does the name, VACorps, mean? This page explains the meaning behind the name, VACorps. I only speak English. Will this affect my internship experience? English is widely spoken in South Africa and you do not have to know another language to participate in our program. If you work at an internship within the townships, you will encounter Afrikaans or Xhosa, two of South Africa’s 11 official languages. Xhosa classes are offered to all participants as part of our weekly program activities & cultural series. When you apply online, you’ll receive an email from a member of our applications team within 24 hours. They will want to schedule you in for a Skype call to tell you more about the program, answer all of your questions, and will walk you through the next steps with your application. Do I have to go on the VACorps Social Excursions? The VACorps Social Excursions, or Weekly Meet-Up’s, are optional events and taking time off from work in order to join us is at the sole discretion of your internship site. Our VACorps Social Excursions are highly recommended as they’re a great way to connect with other interns in the program, catch up with our staff, and to experience the culture of Cape Town through the eyes of a local. What are the VACorps staff like? Check out our VACorps Team page to see what we’re all about! We’re a very young, dynamic, easy-going bunch so please feel free to email any one of us or connect with us on Facebook too! What currency is used in South Africa? Should I bring my cell phone to South Africa? VACorps will provide you with a South African SIM Card upon your arrival in Cape Town and show you how to purchase airtime/data for use here. However, if you’d prefer not to bring your expensive smartphone to South Africa, we can offer entry-level smartphones for $75 that include data, Uber, Whatsapp, Facebook Messenger, etc. Ask us for more info! Which internship sites are the most competitive? 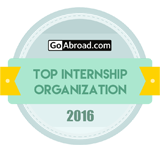 Our most competitive internships are our medical, counseling/psychology, and refugee opportunities. Make sure you apply months in advance if these categories are of interest to you! How much money should I budget for my living expenses during the duration of my internship in Cape Town? This will really vary from intern to intern but you can request a copy of our VACorps Example Budget PDF from a member of our applications staff or you can contact us directly (info@vacorps.com). Where can I get more information about Cape Town and the VACorps internship program? Connecting with VACorps program alumni is one of the best ways to get more information about the VACorps program! Be sure to read our program testimonials or you can request to contact some of our past alumni directly. Ask your Admissions Advisor for help facilitate this. Otherwise, Cape Town Magazine and Lonely Planet are great sources of information, in addition to our Go Abroad listing which showcases the program with alumni and staff interviews as well. Is there high-speed internet in South Africa? Yes! There’s 3G/4G & LTE connectivity in addition to high-speed internet in all of our program homes, numerous internet cafes, and our office has a fiber network which our participants are more than welcome to use before and after work. One of the perks of joining the VACorps program is that our staff is based exclusively in Cape Town to fully support our interns throughout their time in South Africa. We do everything we can to assure a sense of safety and well-being while in the city, from safe & secure housing options, airport pickup, comprehensive 2-day orientation, tour of the city, 24/7 emergency hotline and full staff support. Is Cape Town close to Big 5 safaris? Yes and no. There are numerous private game lodges which have The Big 5, but for a real African safari, you’ll need to head to Kruger National Park or north to Botswana or Zimbabwe. Ask your Admissions Advisor for more information if you’re interested as we can help you with travel planning and booking. Do I need any shots or medical check-ups before I come to South Africa? You do not need to take any immunizations prior to arriving in South Africa but chat with your travel clinic or doctor for further advice. Cape Town boasts some of world’s freshest drinking water and there are no instances of Yellow Fever, Ebola, or Malaria in Cape Town. Can I do two internships? Yes! Please ask your Admissions Advisor for further details. Will I get reference letters from my internship site? Yes, but you need to request this in advance or during your first meeting, which a member of our staff will accompany you to. VACorps staff can also provide reference letters at the end of your stay as well. This all sounds great! Where do I start? Can you offer a breakdown of my VACorps program tuition? The VACorps internship program is a service, not a product. You will benefit greatly from the experience, dedication, and care provided by our staff and a majority of our costs are related to salaries, benefits, and training in addition to the supporting operations required to run our program. We put in a considerable amount of time and effort in building and maintaining relationships with the local organizations where we place VACorps participants, and each internship placement is designed with great care and consideration. Our in-country team is committed to helping you have an amazing experience in South Africa and will actively support you throughout your stay!